"You guys are awesome!!!! 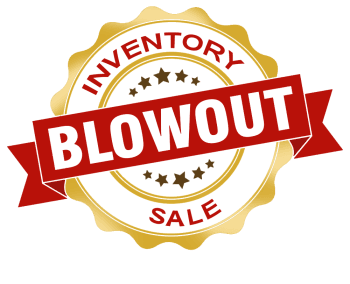 Your company needs to expand into different trades, so we could hire you to handle more of the building." 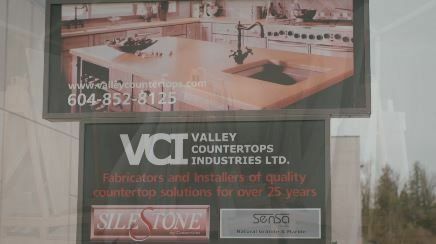 Valley Countertops of Abbotsford, British Columbia Canada has been supplying quality surfacing work and countertops across Western Canada for over 40 years! Whether you are a home owner looking to update your families kitchen, a designer with a condo project or a contractor with a commercial development, we have the materials for your surfaces. Our products are environmentally friendly, durable and look great. Check out our product ranges for more information or see a characteristics comparison. You guys are awesome!!!! Your company needs to expand into different trades, so we could hire you to handle more of the building. Thanks for checking in by phone and email. I'm delighted to report back the counter top is everything I could have hoped for. The installation, too. The same expert who measured the job came back for the installation and he's very pleasant and professional. Please let him know I waited the full 24 hours before I used the sink and there are no leaks. Wishing to thank you for our kitchen countertops! It took much time and involvement with you and your staff. The final result is Gorgeous! We are very happy to say, so my thanks to you for the assistance and support. PS. You and Sharon will have to stop by for a glass of wine on our beautiful Island. Huge thank you for helping me out with my issue. I ordered my quartz from your company 3 years ago and have been so pleased with it. I recently ordered new cabinets and a piece of quartz was 1 inch too short. Thank you so much for cutting me a new piece at a very reasonable price. I realize it was inconvenient as it was such a small order. Talk about great customer service - your company certainly knows what that is all about. Every person I talked to was knowledgeable, friendly and went the extra mile for me. The counter looks awesome - I have to thank you for your diligence and your understanding. The guys who installed (Barry and cohort) and even Dave our measurer were extremely friendly and hard working. Barry was a gem. I do feel good about it all and have to thank you especially for your patience and great customer service – I know I can be a handful and I want to thank you for all your help in making it happen. Without your help I don’t think this project would have happened. 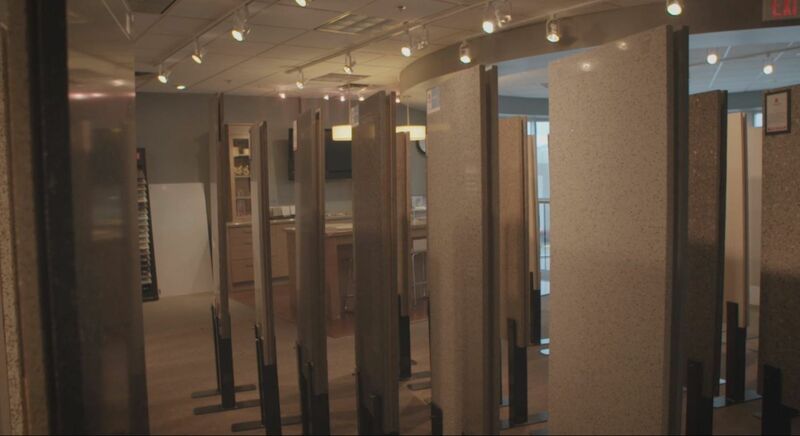 I would recommend Valley Countertops and Home Depot to my colleagues and neighbours and to go out to the showroom. Thanks again and have a fabulous weekend………….I know we will (plumber is in as we speak hooking up the sink and gas cooktop) so by the weekend we can sit and enjoy it. I have attached a picture for you – we are extremely happy. “We had your fella come in on Thursday and work his magic! I wasn’t here but my dad wanted you to know he was a “Lovely gentleman and extremely professional and polite”. Just wanted to thank you and tell you we are very happy and would and will recommend you and your company to all!!! "The countertops look great. I didn’t really see the guys because I had to stay in the basement with my dogs during the install, but my husband was very happy with everything. We are happy." "Amazing job, very professional, looks fantastic, Michelle went above and beyond to get the install done before Christmas, highly recommend Valley Counertops, nothing but good things to say." "Pleased as punch, they did really well and Juan’s attention to detail is amazing. Just Phenomenal work everything is incredible. I have been dreaming of a blue and white kitchen for over 40 years and my dream has come true!!" "I've got to commend those guys, great, great, great. My type of guys. It's great and beautiful"
"I write to you to express my pleasure with my new countertop,not only its beauty and perfect fit but especially for the customer service I received from Michele. I would also add that the two young men who performed the measure and installation are of the highest quality professionals ,they were so exacting and thorough I was not at all surprised when the top just melted into place,they treated my husband and I respectfully and kindly at all times,they are great ambassadors for this product.thank you all once again and merry Christmas"
"It went really good and fast, I was very impressed. Thanks Valley Countertops!" "Just want to send my compliments to your team all along the way for our project. Gary and Carlos are really skilled in what they do and pulled off a flawless job. They work at lightning speed and were focused all day long! Couldn't be happier in my decision to go with VCT and Home Depot for our home Reno." Our product range is expanding to offer you even more choice! If over 50 SileStone® colours, over 55 Corian® colours, and a range of SenSa® Granites were not enough to choose from, you can now add our Exotic Granites, two new SileStone® ranges and our new SoapStone® range to your decision! These new lines offer your kitchen, bathroom or other surface, a unique character to fit your home. From bright and vibrant to calm and soothing – there is a colour for every mood. Stop by one of our Granite Studios and check out these new colours! A proceed of sales from this new series and the Life series colours will benefit the fight to eliminate cancer as a major health problem though prevention, research, education, advocacy and service.